Hard to believe, but half term is already around the corner. Luckily there is a lot on so it is a half term worth looking forward to. We round up the best things going on in and around North London. Jacksons Lane Theatre in Highgate is showing The Insect Circus. Wonder at agile ants, gasp at balancing beetles and beauteous butterflies! Marvel at glimmering glow worms, wild wasps and flighty flies as astonishing seasonal novelties will be premiered! 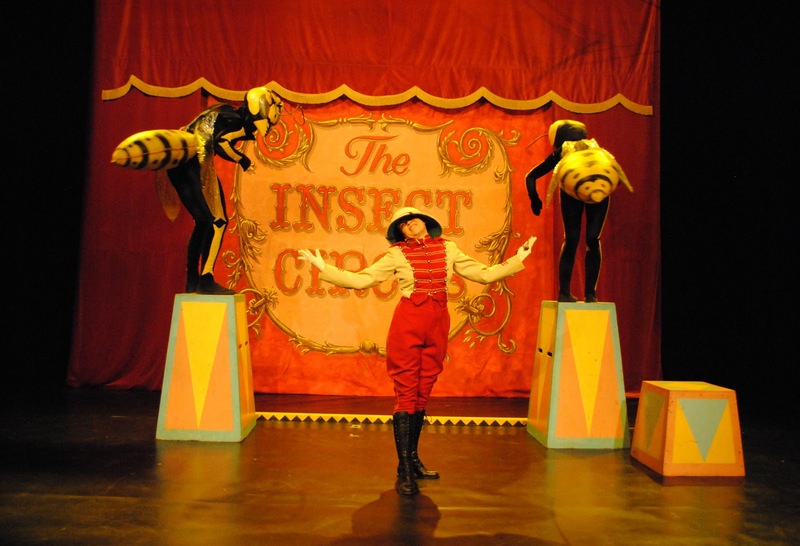 Thisis a variety show with a difference featuring a concoction of thrilling circus and imaginative theatre for all creepy crawly lovers out there! The Arts Depot in North Finchley is showing The Way Back Home. Once there was a boy who found himself stuck on the moon - and he was not alone....We will be reviewing this soon and running a competition to win tickets for the half term performances. Little Angel Theatre in Islington is showing The Gingerbread Man. Using puppetry, live cooking, and a sprinkle of imagination, The Gingerbread Man is brought to life in a brand new way. Suitable for 3+. Puppet Theatre Barge is back in North London after the summer and is docked in Little Venice, Maida Vale. During half term they are showing The Three Pigs and The Wolf and Captain Grimey. A really lovely day out for parents as well as children! Museum Of Childhood has Magic and Make Believe, an enchanting week of arts and crafts, performance and storytelling. Marvel at walkabout magicians, watch shadow puppet storytelling based on The Magic Paintbrush (10.30, 11.15 and 12.00), embark on a magical trail and make a magician’s hat (14.00-16.00). FREE. RAF Museum, Hendon has Big Draw Week and the theme is Halloween. All materials are provided free of charge. Sessions run from 11am to 1pm and 2pm to 4pm each day in our Milestones of Flight Gallery. Grant Museum of Zoology at UCL has family activities all week 1-5pm - Dinos, Dodos and Dugongs - come and explore amazing extinct animals for half term. Discover creatures ranging from endangered to long ago extinct in the Museum’s super specimen-based activities. Take the chance to discover dinosaurs, marvel at mammoths, tickle tigers and handle hippos with our skulls, skins, skeletons, scales and fossils. Admission is free and there is no need to book. 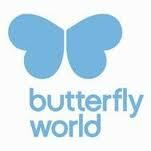 Butterfly World Project in St Albans is well worth a visit any time and also has half term activities running all week including arts and crafts, face painting, story telling and guided walks. Full programme here. British Library has family workshops Tuesday - Thursday at 11am and 3pm for 6+. Come along and join a creative book making workshop. Use pictures, words or both to make your own literary masterpiece to take home. Free. No booking required. 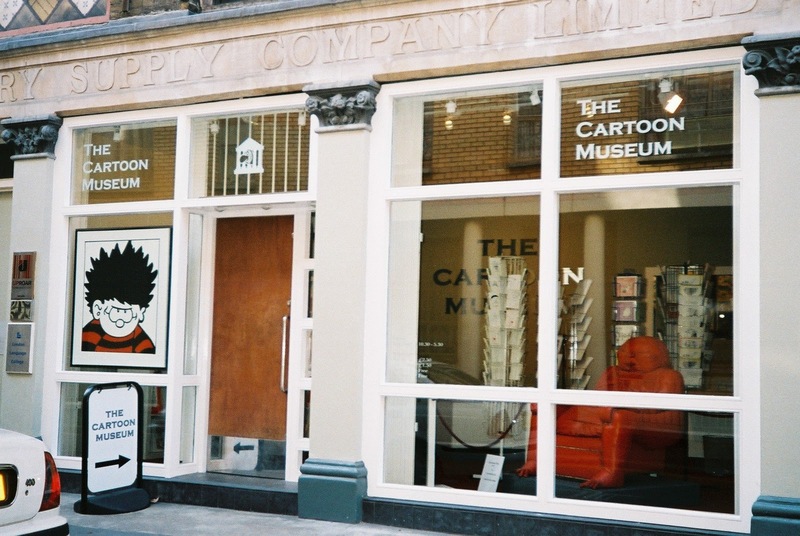 Cartoon Museum (near Tottenham Court Road) has lots of great half term activities for older children including learn to draw manga cartoons and learn to draw like the Beano! Full details here. The very lovely Tea Party in Finchley has Princess School running all week 10.30-12. There will be storytelling, face painting, a chance to learn princess etiquette and more. For ages 3-6. Don't forget your tiaras! Arts Depot has Alien Art Workshops. Make your own alien lifeform with these fun art and craft workshops at artsdepot. The perfect accompaniment to our half-term show, The Way Back Home. Suitable for 3-7s. Hampstead Garden Suburb Institute has a three day creative camp for children aged 7-13 on Monday - Wednesday. There will be pottery and cartooning in the morning and cookery and fashion in the afternoon. CHildren will learn to prepare a range of Halloween themed dishes, all vegetarian and nut free. Call Helen on 0845 871 4141 to book. 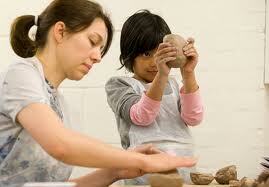 Camden Arts Centre has Clay for Juniors for 8-11s, themed around fictional landscapes, developing children’s skills in hand building techniques, three-dimensional construction, surface texture, surface detail and imaginative uses of scale. Four half days Tuesday - Friday. Camden Arts Centre has Sound Machines for Juniors for 8-11s, an exciting opportunity for children to build their own sound machine using digital and hand crafted materials. 10-30 - 1.30pm Tuesday - Friday and Sound Machines for Infants for 5-7s 2.30-4.30pm. Islington Arts Factory has two courses running all week - dance and drama. Full details here. Poolside Manor in Finchley has a multi activity day camp running all week. You don't need to attend all week. Crafty Chefs Barnet has a halloween and autumnal cooking workshop 24th - 26th. Children can attend for the whole course or just one day. Fine Art 4 Kids has a holiday workshop running in Crouch End on 27th and 28th. Full details here. Creative Wizz Kidz has an unnacompanied holiday camp for 3-9 year olds in Golders Green that allows children to get creative in a fun environment. Creative Movements has drama workshops in Primrose Hill. Full timetable here. The Tea Rooms in Stoke Newington has Halloween Mask making, make a scary mask ready for ‘trick or treating’ £5 per child. 10am-10.45am. Kentish Town Library has a halloween craft activity at 2pm for 5-11 year olds. Free. Dance Arc is holding a free taster dance session for children of all ages in Bounds Green. Full details here. Lauderdale House has a spooky workshop. Create some seriously spooky stuff for Halloween! Go on! Rattle those bones and scare your parents! Who knows what you might come up with – silly skeletons, grinning ghouls, sparkly spiders, prize winning pumpkins, or even lucky charms!!! For ages 5-9. Museum Of Childhood has Dads in Demand - Calling all dads, grandads, uncles...! 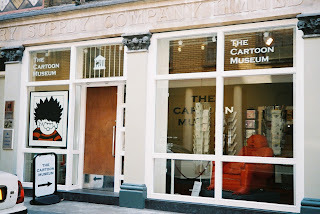 Come and make a stop motion animation film with your kids, grandkids, nieces or nephews for a chance to see it screened at a national film premiere at the British Film Institute in London. Learn all about animation; including making sets, character design and story development. All participants will receive a free copy of their film. Run by the Campaign for Learning. Keats House, Hampstead has a free event called We Love Letters - Multisensory poetry and storytelling, and creative letter-writing for families, 11am - 1pm. Come along to this family session, and become inspired by Keats to write letters to the things, places and people you love. Re-discover the (almost) lost art of letter-writing, and enjoy some poetry, stories and surprises while you are writing. Suitable for children of all ages but please book in advance by calling 020 7332 3868. London Canal Museum, Islington has a family activity day. Sessions 10.30 and 13.30. Suitable for ages 6-12 approximately. Museum trail, making things painting things, and a short boat trip. Brent Museum has a free Big Draw family event 1-4pm.Free and drop in. Bruce Castle Museum, Tottenham has How Green Were The The Victorians, 2-4pm for ages 5-13. Classical Babies has a concert at 11am in Belsize Park. Classical concerts for parents and babies. Full details here. Bruce Castle Museum, Tottenham has Junk Modelling, 2-4pm for ages 5-13. Burgh House has Kids Kipling - an afternoon of fun and games based on the world of Rudyard Kipling. Storytelling, craft activities and face painting, followed by a special Kipling tea. £15 per child under 10, who must be accompanied by an adult. Booking essential. Bruce Castle Museum, Tottenham has How Green Were We in World War II, 2-4pm for ages 5-13. Islington Museum has Collage Making at 11am and 2pm for over 5s. In this workshop you can explore different ways of making a collage book cover. Burgh House has a halloween party - spooky stories, games, fancy dress and a weird and wonderful tea party! Advance booking, £15. If you know of anything else going on that you think other North London parents would like to know about, do let us know and we will add it in! Book the kids half term at www.holidayacademy.co.uk! Prices from £20. Half, full, and extended days and you can book single days.